Tie ribbon around and tie bow to one Side of the card or the other. Take the Christmas star stamp and turn it upside down so the stamp is facing up. Cut out the star and add to the card with dimensionals. You can also add a pearl to the center of the star if you wish. WALLA! An easy and beautiful card. Do you want to stamp and don’t have the money for stamp cleaner or cleaning pad? Run out of stamp cleaner? You can make your own quick and easy. Take an old towel you don’t use any more and fold it into a square. Then take a spritzer bottle and fill it 3/4 full of water, then add 3 to 4 drops of baby shampoo. ( the travel size is the best to get because you don’t use much). Put in 1 tsp of glycerin ( can be found in the drug store). Put cover on and shake well. Spray on towel ( making Sure you don’t spray yourself HA ! HA!). and clean your stamp by rubbing it back and forth. The shampoo cleans your stamp and the glycerin conditions it. Put on a mat and hot glue the center and put on a 1/2 circle on both sides, to form the rosette. Stick a streat pin through center of the curl and paper and attach to foam wreath. Cover all of the wreath except for the back which will be covered when hung. Stamp 2 smallest snow flakes onto white and run through the big shot with the smallest festive flurry die. Die cut 2 of the next biggest snow flakes out of marina mist. Put stamped snowflake onto larger one and sticky strip to the rosette. Stamp snow day stamp set on whisper white and cut out, as seen in picture below. Add dazzling diamonds to snowman and then die cut a piece of marina mist from the apothecary frame lets set, the large one. Place the snowman on the cut out then add to the rosette. With what is left of the whisper white card stock, stamp Christmas Greetings stamp from special seasons stamp set, with real red ink. Then cut it out. Take star stamp and ink up with versaMark ink, then with gold ink. Put your clear embossing powder onto the star, shake off extra powder and heat with your heat tool. When cool, cut out the star and put onto real red card stock with dimensionals. Put dimensionals on sentiment and place on the star. Wow! A quick and easy card. Cut marina mist 5 1/4 x 4 and then put in norther flury embossing plate and run through your big shot. Take out and tape to whisper white with snail. Stamp in the corner with pacific point ink ,Joy to the world stamp, from Joy to the world stamp set. Place rhinestones in the center of the snow flakes. AND WALLA YOU HAVE A SIMPLE BEAUTIFUL CARD FOR THE HOLIDAYS! Check out Stampin Ups new Festive Flurry Ornament Kit, it looks like lots of fun and easy to do. You can make a banner, ornament or even put it on a card or package. On piece of whisper white card stock that is cut at 5×3 3/4 sponge onto card, real red, daddodil delight, pumpkin pie and old olive. Then stamp your to big leaves in verse ark ink over colors,, put on embossing powder on and emboss with your heat tool. Let cool. Then take your soft suede ink and your braver, roll up brayer with ink and pue even coat over card. When done take a paper towel and whip ink off the embossed leaves. Adhere this card onto the pumpkin pie piece of card stock that is cut 5 1/4×4, then take a piece of whisper white card stock that measures 5 1/2×8 1/2 and fold in half, place orange piece on top of the whisper white with snail tape runner. Stamp the thanks stamp from harvest of thanks stamp set on a piece of whisper white, cut out and sponge with pumpkin pie and daffodil delight. Punch an oval out of pumpkin pie and place thanks on top. Then put on base of card with dementials. AND WALLA YOU HAVE A BEAUTIFUL THANK YOU CARD. Hello, My name is Brenda and welcome to my blog, I wanted to introduce myself and tell you a little about myself. i live in Massachusetts with my husband, son and little dog Sophie, and we live in a wonderful community right by the mountain. I am a stay at home Mom as we’ll as working part time as a scrapbooking teacher for a local craft store. 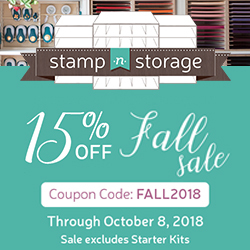 Besides that I an independent demonstrator for Stampin Up. I have been teaching and doing scrapbooking, card making, and paper crafting for a total of 16 years now and would love to help you with any of your paper crafting needs. Please feel free to contact me at [email protected] , or visit my website at www.bjstampingtreasures.stampinup.net and stay tuned to lots more great projects.